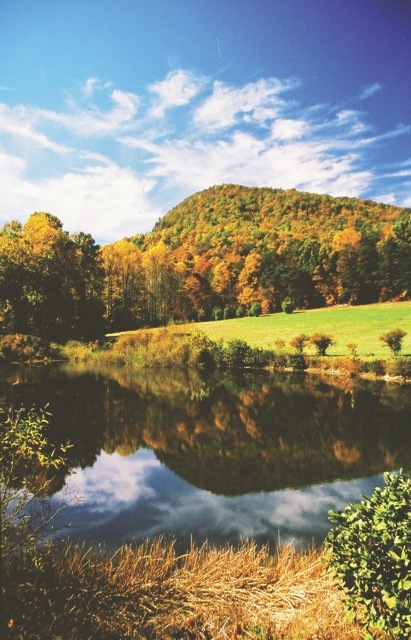 Take one beautiful October sky and add autumn leaves at their peak on the mountain behind the farm. Mix in good food, four magnificent bands  each playing a different style music and four local authors with great books to sell. Add news of the Stop I-3 Study and other WaysSouth projects. Blend with an interested, enthusiastic crowd, and you have the recipe for one successful WaysSouth party. It all came together on October 30, 2010. As an educational gathering, the party served to renew interest in stopping I-3 and to raise awareness that, with a new study having begun, the idea is far from dead. As a fundraiser, the party brought in proceeds of over $2600 to help pay the expenses for our Executive Director to serve on the Expert Working Group advising the I-3 Study. WaysSouth is grateful for the bands  Moses Cotton, Caledonia Swing, Little Debbie and the Snakin Cakes, and Carmel Ridge  who donated their musical talents and time to the occasion. Thanks also to in-kind contributors Hunter Funeral Home, Tomlins Barbeque, Tallulah Gorge Grill, Hank Belew, Stacye and Jamie Morgan, Bill and Lynn Blumreich, Marie Dunkle, Lucy Bartlett, Helen Meadors, Sue Willis, Ginny Heckel, Hugh Irwin, Charley and Ann Kraus, Terry Miller, Mollie and Roger Drake, the Bartlett Clan (Bill, Lisa, Ian and Liam), Bob and Carol Cullifer, Eston Melton, Dr. John and Martha Ezzard and Tiger Mountain Vineyards. Finally, our gratitude also goes to Vaughn and Jody Watts, who were ready to supply the indoor venue if the weather had not cooperated. The generosity and work of all of these people made the party not only possible but fun and informative for all who worked and attended. We plan to have another party toward the end of October 2011; hopefully, this will be a celebration of putting I-3 into a permanent coma! Next Next post: I-3 alternatives threaten Southern Appalachians. Your comments needed now!